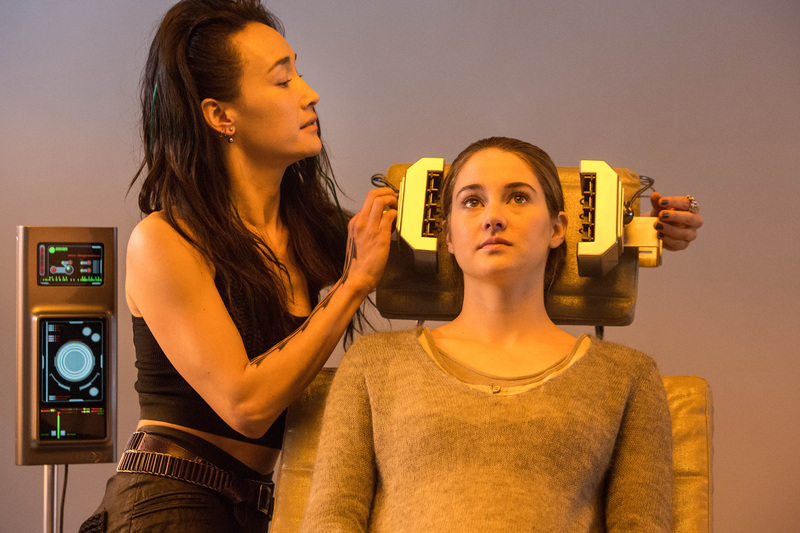 This is Tris, played by Shailene Woodley. You can’t throw a rock anymore without hitting a movie she was in, is currently in or will someday be in in the future. 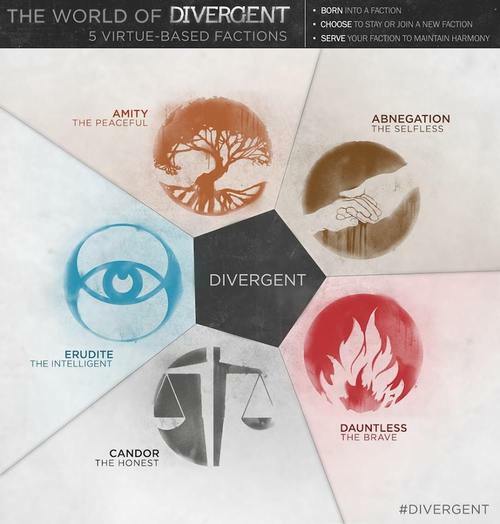 She’s a Divergent, which means she doesn’t fit in the caste system that this dystopian society has created, specifically groups or factions of people divided by their personality traits. 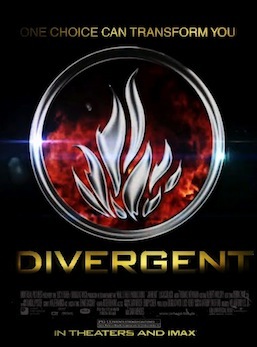 Being a Divergent could threaten the fabric of society, so Dakota Fanning Tris, must try to keep her non-conformity a secret or Lady President Snow will have her killed. But there are a lot of different factions: Erudites the Ravenclaws, Dauntless the Gryffindors, Abnegation the Other Gryffindors and the rest who aren’t even worthy of mention in a song. Sorry Hufflepuffs! This lady runs the brain tanning machine which tells you which faction you should join based on science. She is here solely for exposition purposes and is only allowed to whisper. Good work, Movie Magnus Bane. This if Four, his job is to help rescue Tris. He escaped from the other YA book I Am Number Four because he found it inferior. One day they will bone, assuming there isn’t some sort of love triangle that ruins Fourtris. Regardless, I’m gonna go out on a limb and say this dude is her end game. Even though he’s a space alien from another planet. Tattoos. Everyone seems to have tattoos which possibly indicate which group you belong to. For example, Dauntless members have specialized tattoos which show their caste, which they get for proving their fearlessness by jumping off buildings and somehow not dying. Or something. Also in the future, people throw knives at your head for fun. It’s the national pastime. Also, also, everything takes place at Epcot. And it’s really just that show “Revolution” but the ferris wheel is less symbolic.